Osborne Park became a residential area after World War II and since then many WA families and businesses have chosen it as a base. With a great choice of shopping and dining options, plenty of parks and the fact that both the beach and the city are just a short drive away; it’s easy to see why so many people are choosing it as home over other suburbs. Crucially for families, couples and those living alone, Osborne Park is also well known as a safe suburb. However, as we all know, there is no such thing as a crime-free area, so it’s still really important to protect yourself from both opportunistic and premeditated crime in the Osborne Park area. Recent statistics show that Osborne Park reported 181 burglaries, 40 car thefts and 9 robberies in a 12-month period. So although this was not as bad as the worst performing suburb of Midvale which reported 15.9 crimes per 100 residents, it was markedly more criminal activity than in suburbs such as Dalkeith, Floreat, Leeming and Duncraig, which reported the fewest number of crimes per 100 people. Indeed, Dalkeith only reported 21 burglaries, 3 car thefts and no recorded instances of robberies. So, while there is clearly no need for undue panic in the Osborne Park area, residents do need to be aware both of potential burglary and instances of graffiti of which Osborne Park reported 9, as opposed to none at all in Dalkeith. As the statistics show, burglaries are far more common than the more serious crime of robbery, which involves theft using force or the threat of force. Burglary is defined as entering a home or business without permission with the intention of committing a crime such as theft. Crucially, nothing needs to be taken for a burglary to take place – if the criminal leaves empty-handed because they are disturbed or couldn’t find what they wanted, a burglary has still been committed. Making sure your front door is locked when you leave the house is the most basic security rule of all but of course this is only the beginning when it comes to home security. You may have locked your door and your key may be safely in your possession but unless you’re completely sure that you know exactly who has a key to your house it could be time to call a locksmith. For example, if you’ve recently moved into your home, it’s impossible to know exactly who has access to your home. The previous owners may have handed over their own keys when they moved out but did they remember to get their spare keys back from family, neighbours, cleaners and gardeners? If in doubt, for a locksmith Perth is well served by Action Lock Service to get this potential issue sorted out for your peace of mind. Of course, it’s not just the front door we need to pay attention to. Many burglaries are committed on an opportunistic basis with criminals acting on impulse when they see an open door or window, and of course it’s bonus for them if their entry point is at the back of a property where they are less likely to be spotted and caught. Again, all of us are in the habit of locking our back doors when we go out, but in the summer months when we’re in and out of the house all the time, it’s easy to leave a back door open, particularly if the screen door is closed but not necessarily unlocked. If you pop upstairs for a shower with the back door open, that may well give an opportunist criminal ample time to get in and out of your house while you are none the wiser in a different area of the house. 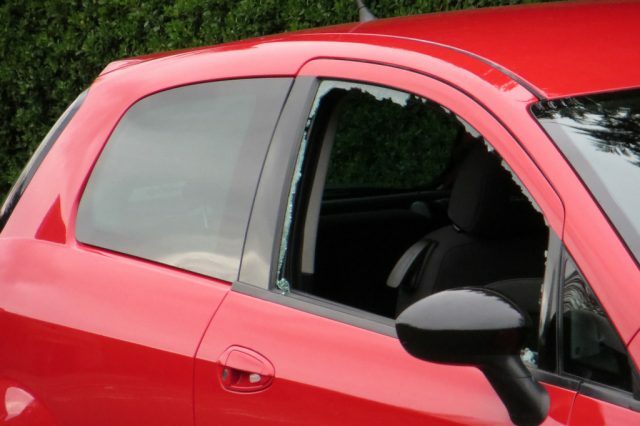 As the statistics show, while car thefts are thankfully a relatively uncommon occurrence in Osborne Park, they do happen and it’s really important to make sure your car is locked every time you leave it unattended. Many people leave their cars unlocked on their driveways as they unload shopping and who hasn’t forgotten to lock their car once in a while after completing this chore? And don’t forget burglars may break into your house with the specific aim of finding your car keys so that they can steal your car, particularly if you own a covetable vehicle that may be at risk of being stolen to order. There are two schools of thought regarding storage of your car key; some people choose to keep their key well-hidden at home to minimise the chances of a burglar finding it while others opt to keep it in an obvious place so that any intruder intent on finding it will not trash the rest of the house and pick up other valuables in the process of trying to do so. And again, if you lose a car key, it’s crucial to get a new one. For a reliable car locksmith Perth can rely on Action Lock Service for a friendly, prompt and professional service. While North Eastern Osborne Park is a thriving residential community, the area is also well known as an industrial zone and as a result is home to many warehouses and small businesses. These are also vulnerable to crime, particularly in the evenings and weekends when there are fewer people around. If you’re a business owner in the area, security is a big priority and for a locksmith Osborne Park can count on Action Lock Service for expert advice on the best way to secure your commercial property. Alarm systems, CCTV and even security guards may also be appropriate at your business premises, particularly if your activities involve the storage of valuable goods. Statistics show that Osborne Park reported 105 assaults in the same time frame as referred to above. Again, this is not a number to be overly concerned about on a day-to-day basis, but when you consider that Dalkeith reported only 7, it is something to be aware of. The term ‘assault’ covers a wide range of crimes including sexual and non-sexual, non-aggravated and the more serious aggravated category, which involves purposely trying to cause serious bodily harm to another person. While assaults are fairly rare, they can happen at random at any time of day or night. With this is mind, it’s important that everyone, but women in particular, are extra vigilant when out, especially when they are in poorly lit or thinly populated areas. It’s also vital to make sure your bag is securely fastened and your phone isn’t poking out of a back pocket where it could easily be snatched by an opportunistic criminal who may resort to assaulting you in an attempt to get hold of your valuables. In terms if home security, it’s well worth looking into other ways of keeping out intruders in addition to making sure your home is fitted out with the appropriate locks. These days most people have an alarm system and there is no need to spend a huge amount on this unless you are advised that it is necessary. 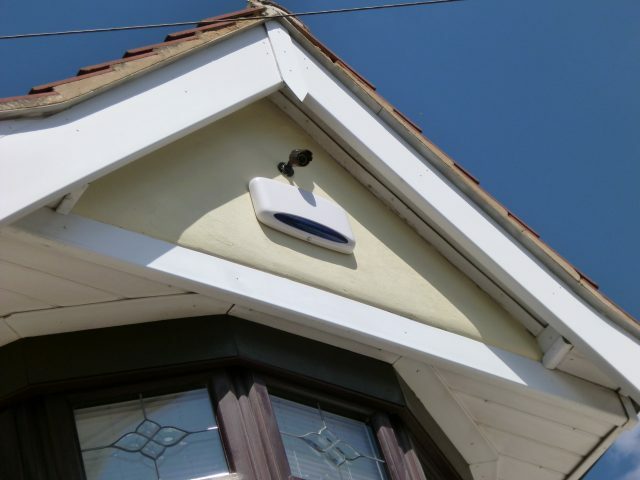 CCTV is also an option, particularly if you live in a large house with lots of land and outbuildings. Or why not look into the recent innovation of wireless doorbells that allow you to answer the door remotely via an app, meaning you can see exactly who is standing at your doorstep even if you’re hundreds of miles away on holiday. Of course, it goes without saying that if you do invest in an alarm system, make sure you switch it on and book it in for the necessary maintenance it will need to operate effectively. If your street is unlucky enough to fall victim to a burglary or other crime it may be worth setting up a formal community group to minimise the risk of this happening again. Otherwise, it’s usually easy to come to a mutually beneficial arrangement with a neighbour. Getting someone to pick up your post, switch lights on and off and open and close curtains when you’re away means you can enjoy your time out without worrying that your home is vulnerable to being targeted by opportunistic thieves. And of course, it goes without saying that if you see anything suspicious going on in your neighbourhood, report it to the police immediately. After all, it’s always better to be safe than sorry! Action Lock Service has been providing expert emergency locksmith services in Perth for over 25 years and with our large Balcatta-based retail outlet and four mobile workshops, we can respond quickly to your call, no matter what time of day it is. Call us now on 08 9240 7200 from 8.30am – 5pm for friendly advice on your security needs, or 24/7 for an after-hours emergency.